Newswise featured ITM investigator Michael Maitland, MD, PhD, for his role co-leading an upcoming study tracking patients’ responses to cancer treatment by analyzing digital images. 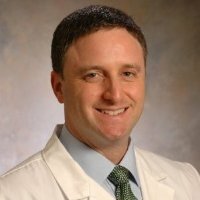 Maitland served as the Co-Leader of the Cancer Developmental Therapeutics Program and Assistant Director of the Center for Personalized Therapeutic at the University of Chicago Medicine through 2016, when took on a new role as the Director of Therapeutics for the Inova Center for Personalized Health and as Associate Director of Cancer Therapeutics for the Inova Schar Cancer Institute. Many cancer drugs fail towards the later stages of their trials, wasting precious time and resources for patients with the disease. A 2012 review of more than 250 Phase III clinical trials showed more than half could not verify the expected positive benefits. This study will use imaging data to measure drug response, information which will allow researchers to predict the effectiveness of the treatment. It’s a collaboration involving experts from the NIH, FDA, and several cancer institutes thanks to more than $2.7 million in funding from the private sector. -Lawrence Schwartz, MD, the James Picker Professor of Radiology at Columbia University Medical Center (CUMC), chair of the department of radiology at NewYork-Presbyterian/Columbia, and Co-Principal Investigator of the study.